Cate Masters: Mark your calendar for Saturday, October 23! 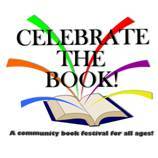 On Saturday, October 23, 2010, The Friends of Bosler Library will host Celebrate the Book, a Central Pennsylvania Book Festival at the Carlisle Expo Center. It's going to be a great even, bringing together the community and authors to promote literacy. The festival will feature scheduled authors, children’s book illustrators, and book vendors. John Grogan, author of Marley & Me, is the main speaker. There is so much more — check out their website at www.celebratethebook.org to see the program. I will be at a booth with my books, including my latest fantasy novel Surfacing, and my Native American historical with local ties to the Carlisle Indian Industrial School, Follow the Stars Home. I'll also have copies of One Soul for Sale, Picture This and Fever Dreams. Hope to see you there!